One of the things I love about the Vista is that unlike other more expensive stroller systems, this one comes with the bassinet and toddler seat without costing extra. 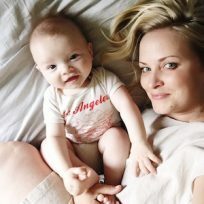 Although I personally don’t use my bassinet on the stroller itself, you can use it in your home as a good place for baby to sleep in the early days, or in rooms other than their nursery. 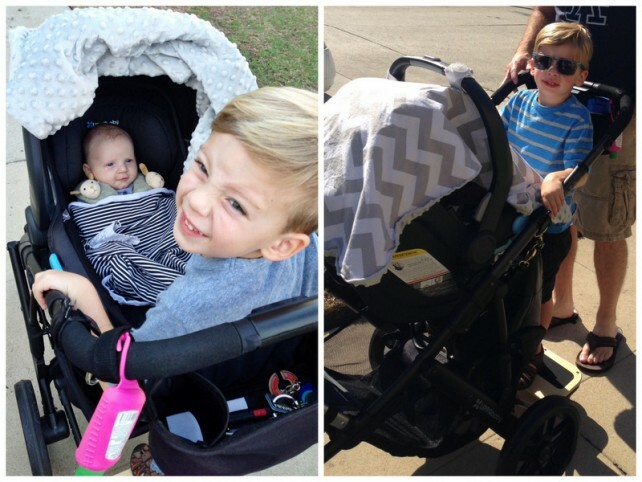 The stroller is also easy to fold and unfold, fits in the smaller-sized trunk of my smaller-sized SUV, and has a huge basket underneath, which is so key for city-dwellers. I can walk with my kids to the grocery store and fit a large amount of groceries in the basket. I also once had the opportunity to use a friend’s Bugaboo for a week, so I can tell you from experience that my Vista rides so much better. It handles sidewalk cracks and bumps like a champ, when I couldn’t even get the Bugaboo to go over larger cracks without a lot of effort on my part. Those all-terrain wheels and no need to change shocks makes rides smooth all the time. We used our stroller for neighborhood walks every day for almost four years and never had a problem with our stroller. Recently we had an issue with the frame (one part separated from another part) and I contacted UPPAbaby’s customer service. Even though my stroller was no longer under warranty, they replaced the frame. I honestly cannot speak high enough about my experience with their customer service. And when you are investing in a stroller that you hope will go the distance, that is key. To complete our UPPAbaby travel system, we also have the Mesa infant car seat, the Rumbleseat, and the Piggyback board. I had a different infant seat with my first son but we needed a new one for the new baby, so we got a Mesa this time since it fits right onto our stroller. It also gets really high marks for safety and ease of use—it took me about 2 minutes to install in my car. I love how easy it clicks in and out of the stroller and I don’t need a converter to use it with the Vista like other car seat brands. We have used our Rumbleseat a few times. It’s something we would use more at a long day at Disneyland, but for neighborhood walks we use our Piggyback board. If your older child is under the age of 3, I highly recommend the Rumbleseat. The view is somewhat obstructed, but isn’t terrible. My son, who had a great stroller view all to himself for 3 1/2 years, didn’t seem to mind at all, so I think this will vary from kid to kid. But the seat is fairly easy to put on and take off the stroller frame (takes about 2 minutes), and does the job. You do have to take it off to fold the stroller, which is less convenient than your standard double stroller. 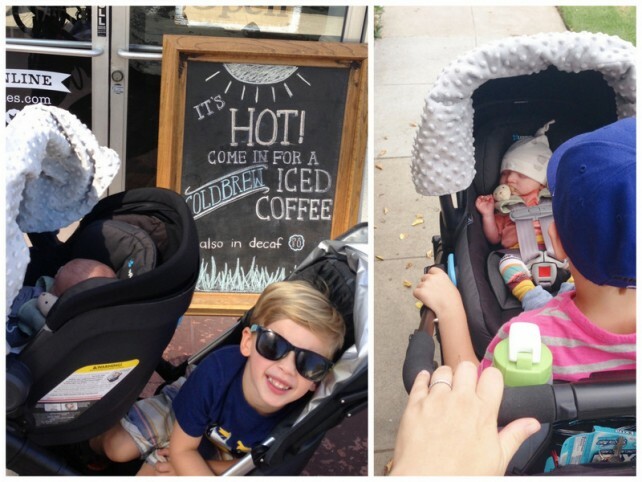 But they just launched a new 2015 VISTA stroller with a new RumbleSeat that reclines and has multiple configurations (two MESA car seats, two bassinets, etc…), so it’s a step up and a little more versatile than the current VISTA & RumbleSeat that I have. If you are buying, make sure to get the new version! If your child is over three or big for their age, I think you would get more use out of the Piggyback board, especially if you have to pick just one option. The Piggyback board is super easy to click on and take off, folds up if you don’t want to remove it but aren’t using it, and is a fun riding option for older children. My son calls it his skateboard and loves it. If you are in the market for a travel system, a stroller you will be able to use for years to come and for up to three children at once, and want the best bang for your buck, the UPPAbaby travel system is for you.